Cheesy Chicken Chili Bites - only 5 ingredients! 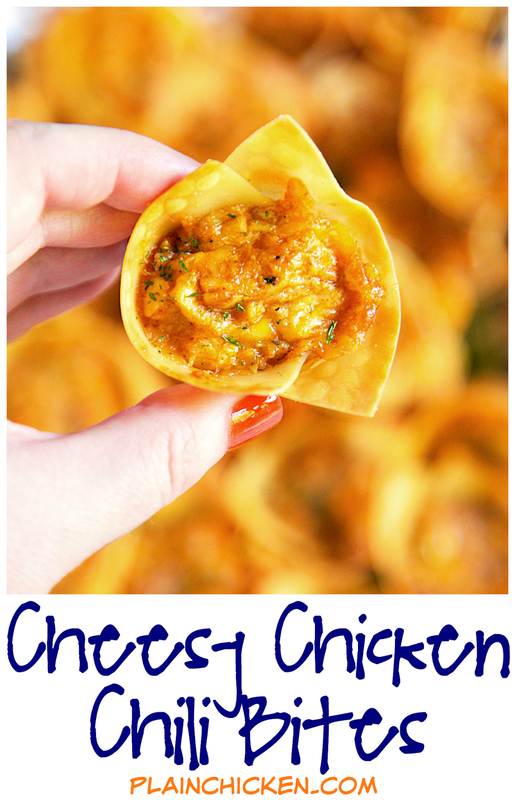 Chicken, chili seasoning, ranch, cheese baked in wonton wrappers. I ate way too many of these!! SO good. Can make filling ahead of time and refrigerate. Great for parties and tailgates. Tastes great warm or at room temperature. These Cheesy Chicken Chili Bites are great for any upcoming holiday parties! They are super easy to make and taste amazing! The best part is there are only 5 ingredients! Love quick and simple appetizer/snack recipes!! The filling has tons of great flavor. I used store bought rotisserie chicken for the cooked chicken. It is my favorite secret weapon! It tastes great and makes prep work quick and easy. The filling can be mixed together ahead of time and refrigerated until you are ready to bake the bites. I ate a TON of these things when I made them. They are SO good. I think they are the perfect party food. They transport well and taste great warm or at room temperature. Give these a try for your next get together. They will be gone in a flash! Preheat oven to 350 degrees. Spray mini muffin pan cooking spray. 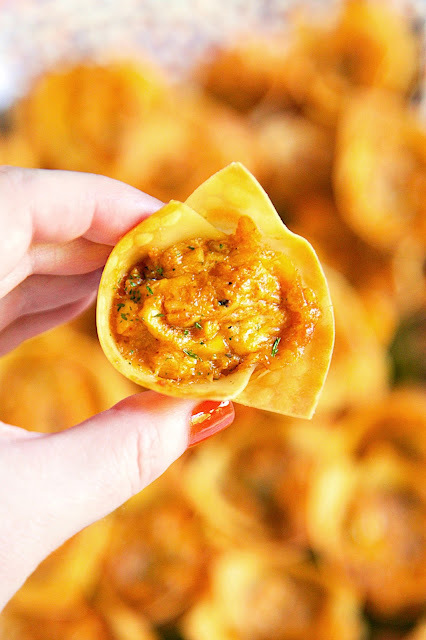 Press wonton wrappers into mini muffin pan cups. Mix together chopped chicken, Ranch dressing, chili seasoning and shredded cheese. 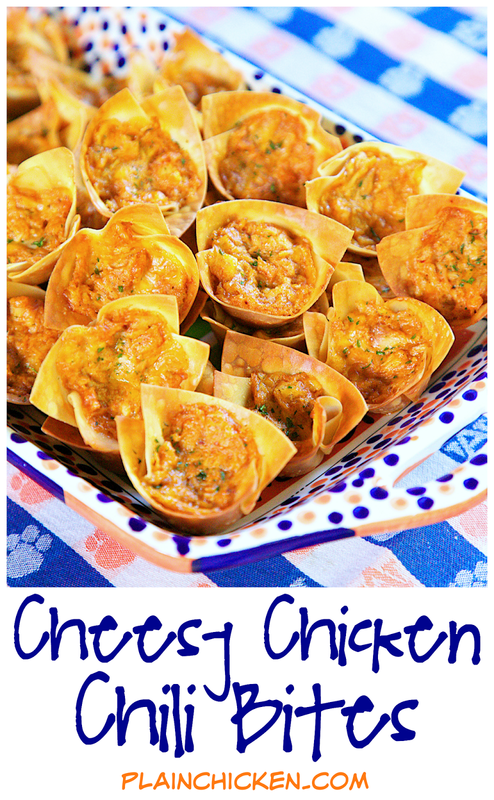 Scoop chicken mixture into wonton cups. Hi Steph! How are You? Merry Christmas!!! Love Your Blog!!!!!! Thank You for creating a new food recipe everyday!!!!!!! I Love Crispy Baked Wontons Meals like the food recipe above. I Love Spicy & little salt savory Crispy baked wonton meals!!! 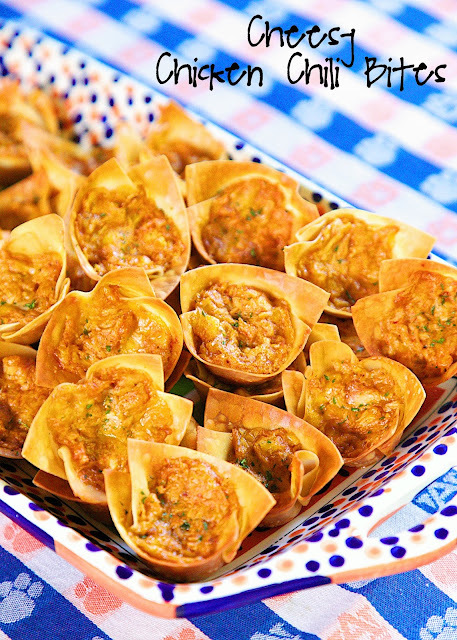 Please may you create more food recipes like these Savory Crispy Baked Wonton Cups? Thank You So Much!!! Merry Christmas!!! I hope You have a Jesus- Blessed day!!! !